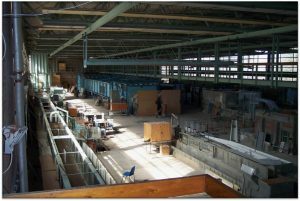 Hydromechanics laboratory has a 3000 m2 covered main hall and two 90 m2 auxiliary halls. There are two underground reservoirs storing 800 m3 of water and two pumping stations each having 300 lt/s capacity to rise water to elevated constant head tanks and to the supply pipes. 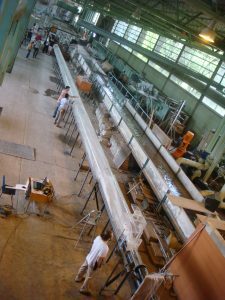 Most of the covered area of the main hall is reserved for hydraulic model studies conducted in the laboratory. 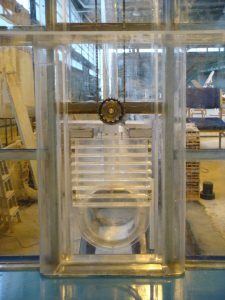 There are basic experimental facilities used in the scientific research and the undergraduate student experiments. 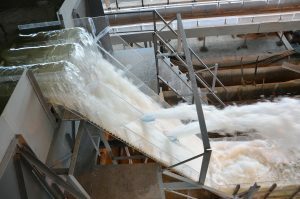 Some of the currently running experimental facilities are horizontal channels, tilting channels, wave channel, sediment channel, pipeline systems, water hammer setup, spillways, intake vortex and gate downpull test setups. 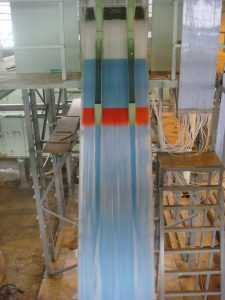 Computational Fluid Dynamics (CFD) tools are used in preliminary design, preparation for experimental studies and sometimes to cover tests which are difficult on physical models. There is a computer lab with high performance desktop computers for the CFD simulations. Commercial FLUENT and Flow-3D software are also available in our laboratory for numerical simulations. Besides classical flow measuring structures and equipment, electronic force, pressure and acceleration transducers, Acoustic Doppler Velocimeters, ultrasound flow meters, ultrasound bed level profilers and computerized data acquisition systems are also available. Laboratory has its machine shop for hydraulic model construction.